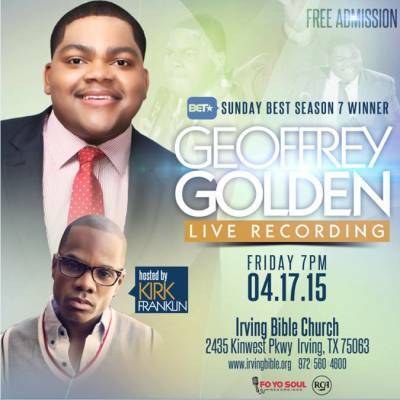 Kirk Franklin is hosting a live recording for Season 7 "Sunday Best" winner Geoffrey Golden on Friday, April 17 at Irving Bible Church in Irving, Texas. Golden, the 20-year-old new addition to Franklin's Fo Yo Soul record label, took to Twitter to ask for prayers as he records his new album live. "Well here it is Family!!! I'm so grateful to GOD for your continued prayers and support," Golden tweeted. "I'm recording LIVE in Dallas next Friday!!! Free admission! PLEASE be praying with me!!!" Franklin, the Fo Yo Soul record label head, producer and songwriter, also took to Twitter to express his support for Golden. "I am so proud of the new artist on my label @GeoffreySB7 we're recording his album next Friday in Dallas," Franklin tweeted "Come see us. Oh..ITS FREE!" Golden, the Cleveland, Ohio native, previously told The Christian Post that winning the Sunday Best competition has brought him from a place of expectation to reality. "I know God told me that there was a thing that he would do in my life and he was going to use me..some of those things that He's placed in me would go out into the world," Golden told The Christian Post. "Now I'm really walking in the promise of the thing that He said He would do. So moving from promise to performance is what I think it (means) to me more than anything." Franklin previously told CP he has a vision for his record label to which Golden belongs. 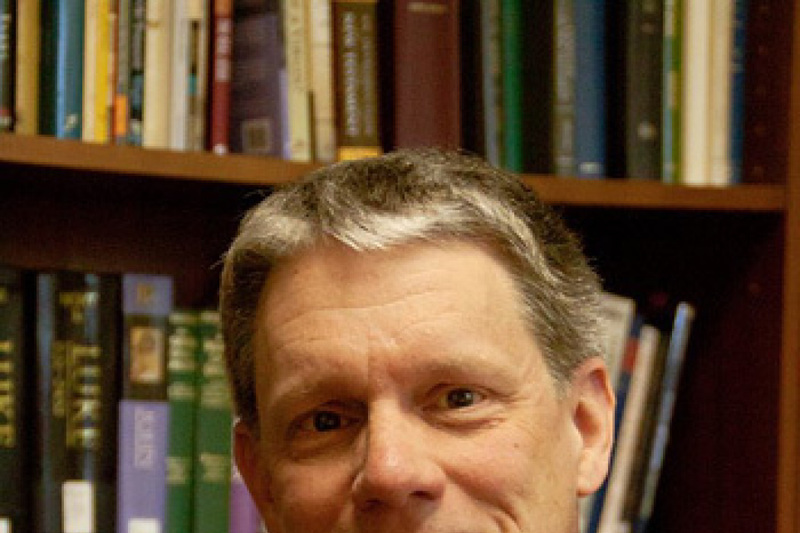 "We're trying to create content that is very culturally forward without compromising the push of the gospel," he told CP. Franklin is a celebrated veteran in the gospel music industry, and insisted that the most important quality in gospel music should be sincerity. "It should reflect wherever we are and our personal spiritual growth with God. If that's not our top priority, then our artform is going to be very shallow," Franklin told CP. "It should not be just for the sole purpose of the artform itself...if it's that, we'll suffer. We have to make sure people can feel the sincerity of our own testimony and our own journey so they know this is something that is really real for us."